Why Oatmeal scrub donkey milk soap? Whether your skin is dry from the winter’s cold that has extracted all of the moisture out of you or it’s rough from dehydration – your skin is aching for a body polish. 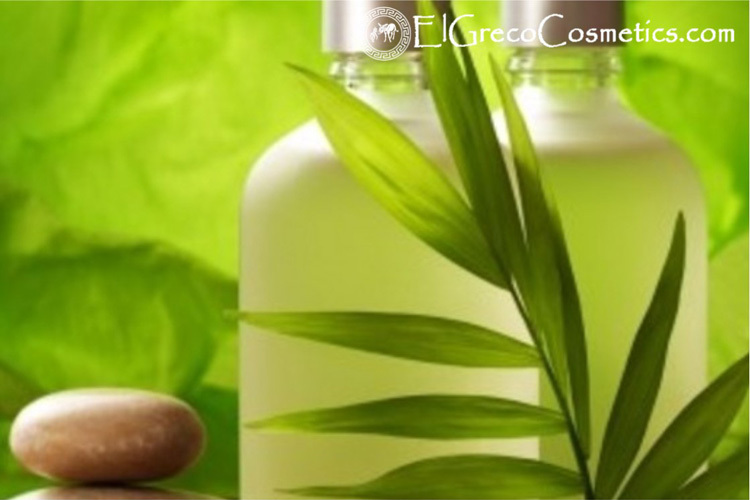 There is nothing more satisfying than giving yourself a much-needed body scrub to remove built-up dead skin cells. Then It’ s time to hop into the shower and give yourself the gift of a glorious, moisturizing exfoliation with Oatmeal scrub donkey milk soap. Oatmeal is known for relieving skin irritation due to eczema, psoriasis, poison ivy, and other skin irritations. This is because oatmeal naturally contains anti-inflammatory, anti-itch and antioxidant properties as well as being extremely moisturizing. Ground oatmeal in Oatmeal scrub donkey milk soap is a natural exfoliant gentle enough to use every day. By exfoliating dead skin cells, the Oatmeal scrub donkey milk soap will unclog your pores and improve the texture and appearance of your skin. Removing accumulated dead skin also enables moisturizers to penetrate to deeper layers of the skin, so they can be more effective at combating dry skin and preventing premature ageing and will help to get out the daily toxins off the skin. Oatmeal soothes skin irritation and itchy rashes, such as those that occur with contact dermatitis, eczema and poison ivy. It also helps relieve sunburn pain when used in the bath or applied directly to the burned skin. Colloidal oatmeal controls itching by restoring moisture to the stratum corneum layer of the skin. Oatmeal scrub donkey milk soap has anti-inflammatory properties. Oatmeal scrub donkey milk soap has anti-inflammatory properties and is perfect for most skin types, even the most sensitive skin. Oatmeal Scrub donkey milk soap contains saponins. Scrub donkey milk soap contains saponins, a mild cleansing agent. So it is a perfect cleanser. Oatmeal Scrub donkey milk soap helps to remove dead skin cells. Oatmeal Scrub donkey milk soap can help to treat acne, eczema, rosacea and rashes. Oatmeal Scrub donkey milk soap can help to relieve symptoms of ageing skin. Oatmeal Scrub donkey milk soap is also known to have skin lightening effects. Oatmeal Scrub donkey milk soap is also known to have skin lightening effects and thus it also helps to improve the skin tone and texture and smooth out blotchy areas. Oatmeal Scrub donkey milk soap repairs damage from other chemicals, such as alpha hydroxy acids, surfactants, and bleaches. Oatmeal Scrub donkey milk soap can help to calm and reduce pore size of the skin. Oatmeal scrub donkey milk soap is beneficial for anyone with oily or acne-prone skin. Oatmeal scrub donkey milk soap is beneficial for anyone with oily or acne-prone skin, as the oatmeal absorbs oil without over-drying. 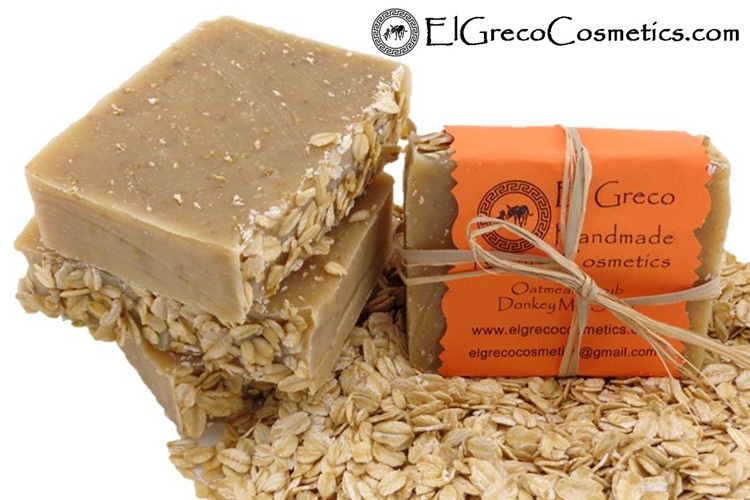 Oatmeal scrub donkey milk soap has astringent properties. Oatmeal scrub donkey milk soap has astringent properties and helps draw oil out of the skin. 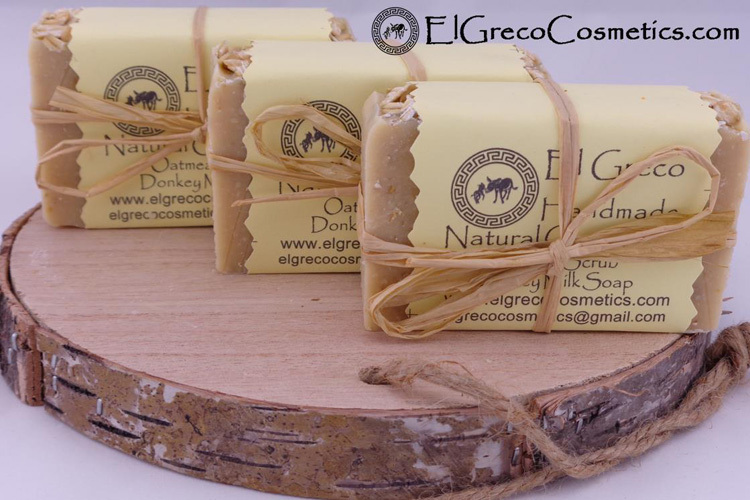 Using oatmeal scrub donkey milk soap can restore the skin’s natural pH and will not interfere with the effectiveness of other skincare products or acne treatments. Oatmeal soap is appropriate for all skin types and is gentle enough to use as often as needed. 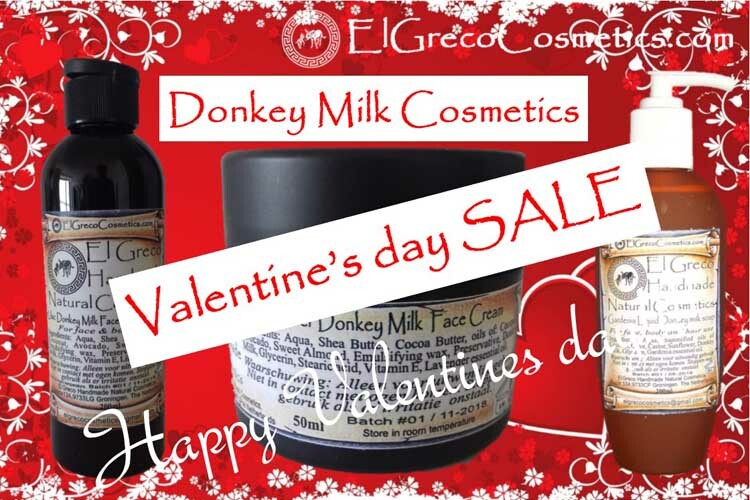 Why El Greco cosmetics Oatmeal scrub Donkey milk Soap? Find out more about Oatmeal scrub Donkey milk Soap.